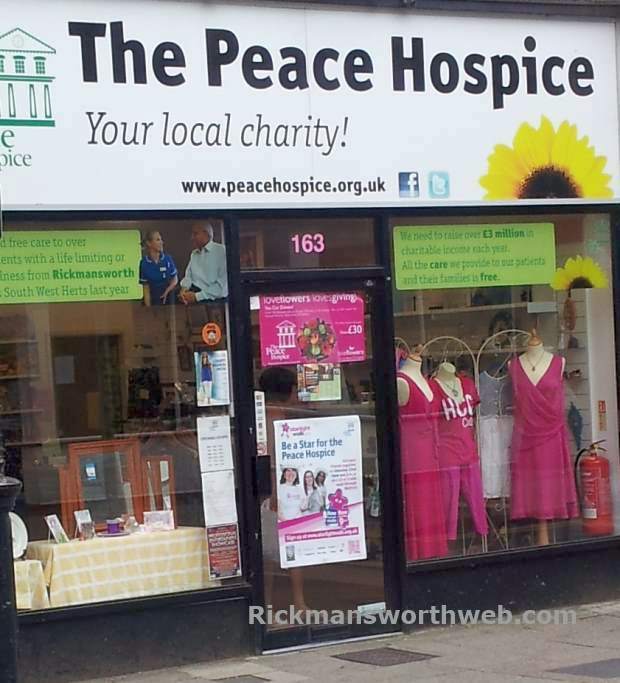 The Rickmansworth Peace Hospice was officially opened by Mr Ron Spellen, Chairman of The Three Rivers Council and sells new and second hand goods including clothes, antiques, ornaments and books. The shop is well located with parking just off the high street which is helpful for dropping off items to be sold in the shop. The Peace Hospice relies on donations and all profits go towards care for those living with life limiting illnesses.